If you’re just setting up in business you don’t need me to tell you there’s a ton of things you need to do. Register your company, set up a bank account, getting stuff printed, finding customers, etc. And sooner or later you’re going to have to bite the bullet and get your website online. You can only put it off for so long but these days a website is essential for any business. And a website means web hosting. It’s an important choice and in this post I’m going to give you the heads up to make sure that you choose right hosting for your business. First of all, let’s quickly look at what web hosting is and how it works. The first thing to understand is that web hosting starts with a server. A server is basically a powerful computer connected to the internet and that’s where your website files are stored. Each server has the typical components you need like CPU, RAM, Power Supply Units, Hard Drives, etc. The server is contained in a rack which is like a special type of purpose built cabinet which can hold up to 30 or 40 servers depending on their size. The racks are stored in a purpose built multi million pound facility called a Datacentre which has all the necessary physical security, data, power, environmental and fire suppression systems required to keep the servers safe and operating at optimum performance. Without getting into loads of technical details essentially each server has its own unique address on the internet called an IP address. When someone types in your website’s address (URL) into their browser their ISP goes to the internet and searches for your domain name and checks the IP address of the server. It then takes you to that server and checks that the website exists on the server and that’s how your website appears. As I say, that is an extremely simplified way to explain it. But the key point is that the server is key to everything because that’s where your website’s files physically reside. Let’s look at them in more detail and the types of features of each and that will help you to understand which is the right choice for you. Shared, as its name suggests means that you are sharing a server with other users and their websites and email services. You will usually get a control panel interface which makes it easy to manage the main aspects of the hosting such as setting up email addresses. Often you will also get access to a Do-It-Yourself Website Builder tool so you can build your own website. You will also usually get free applications like WordPress for building a blog or tools like PrestaShop for building an Ecommerce website. Most hosting will come with free email addresses so you can set up professional @yourwebsite email addresses. This gives you a professional edge when you are just starting out. You can configure your emails with your favourite email tools like Outlook or Gmail and of course you can set them up on your mobile devices (phone, tablet) so you can stay in touch wherever you are. Some hosts will also offer some nice features like Add-on Domains where you can host more than one website without having to buy another hosting plan. Reseller hosting is where you are given a bulk amount of disk space on the server and you have a control panel which allows you to create hosting plans for your customers. The advantage of the Reseller Plan is that you become like a mini hosting company and you can offer hosting services to your clients without having to make expensive investments in servers or other infrastructure. Reseller hosting is slightly more complicated than shared hosting but with some trial and error it is quite easy to manage. Reseller Hosting is perfect for Web Designers or other Web Professionals who have their own customers and can earn an ongoing residual income from value added hosting services. SSD stands for Solid State Drives. These are the types of ‘disks’ that are used to store the hosting files. Whereas traditional hard drives which store the data on magnetic spinning disks, SSD are 100% electronic components and operates hundreds of times faster than the older types of drive. Whilst the technology is now quite mature they are still a more expensive option largely because they do not have the capacity of traditional drives. Typically SSDs are available in the range of 100GB to 500GB at a reasonable price whereas SATA or SAS drives are typically available from 1TB to 3TB at reasonable prices. But the extra cost is definitely worth it if speed is important to you. Website Load speed is important for busy Ecommerce websites where customers want to browse and buy quickly. Website speed is also a known Google ranking factor so if Search Engine Optimization (SEO) is important to you then SSD is the natural choice. VPS is where a physical server is split into several ‘Virtual’ servers using Virtualization technologies. This means that one server can host different types of operating system per VPS. So one client could be running a Windows VPS and another could be running a Linux server. Overall a VPS is the perfect choice for businesses who have more demanding needs in terms of the configuration, power and security of their hosting environment. 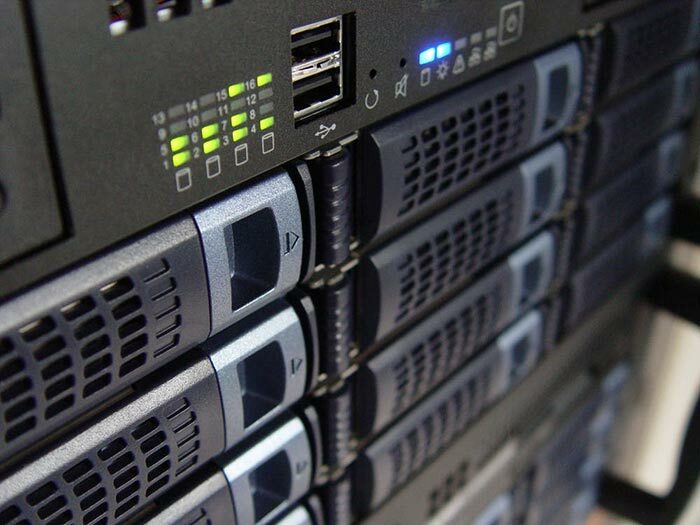 Dedicated Servers offer the same advantages in terms of configuration and power as VPS but with the knowledge that nobody else is sharing the same physical server as is the case with a VPS. Dedicated Servers will take longer to deploy initially than a VPS (hours vs minutes for a VPS) and they will tend to be more expensive for an entry level service than a VPS. Any physical changes such as hardware upgrades (e.g. RAM) will take longer and they do not have the extendibility of a VPS. Also standard features of VPS such as hot swap hard drives and high availability services may be prohibitively expensive for Dedicated Servers. Hopefully now you have a better overall understanding of the types of hosting so that you can determine which type is best for you. Datacentre: Do they operate from a Tier 3 or Tier 4 Datacentre? These are the highest accreditations and will offer the best in terms of connectivity, security and uptime. Technical Support: Do they offer true 24*7 support. Check if they offer Live Chat 24*7 for example by just clicking on the Live Help button out of hours. Customer Feedback: Do they score highly on publicly available customer feedback websites like TrustPilot. Check the reviews to see if any common themes arise either good or bad as these can act as signals for the type of service you can expect. Types of Disks: Ask what types of hard drive you’ll be hosted on. SSD is the best but may be more expensive. Failing SSD then SAS drives are Enterprise grade drives and are faster than SATA which should only be used for backups. Security and Backup: Ask what type of server security is in place and whether the servers are backed up. Backups are usually the client’s responsibility but if all else fails you want to be able to rely on the host for your files. Extra software: Do they offer extra, premium software included in the price such as LiteSpeed (drop in replacement for Apache which makes your site run faster), CloudLinux (software to prevent degraded server performance caused by individual users), CloudFlare (Content Delivery Network (CDN) tool that optimizes performance and enhances security of websites using it). You’re spoilt for choice when it comes to web hosting. If you’re just starting out and you’re on a lower budget and you don’t have very specific requirements in terms of configuration then shared hosting is your best bet. If you’re looking to offer hosting to your clients then Reseller Hosting is the right one for you. If you need power, control and security then either a VPS or a Dedicated Server will be perfect with the VPS edging it on price and flexibility. 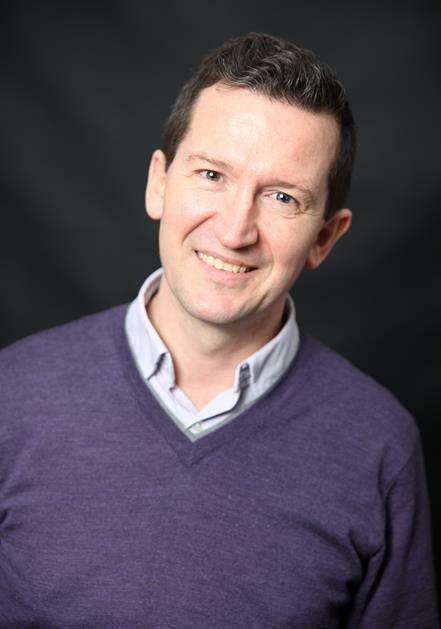 Tony Messer is the founder and CEO of UK Web Hosting Company Pickaweb. Tony is passionate about helping small businesses get online, get found and get more customers using the power of online marketing. Tony is the author of 2 books; “The Lazy Website Syndrome” and “The Website Survival Kit”. He also speaks regularly on Business Marketing with an emphasis on Content Marketing for SMEs.